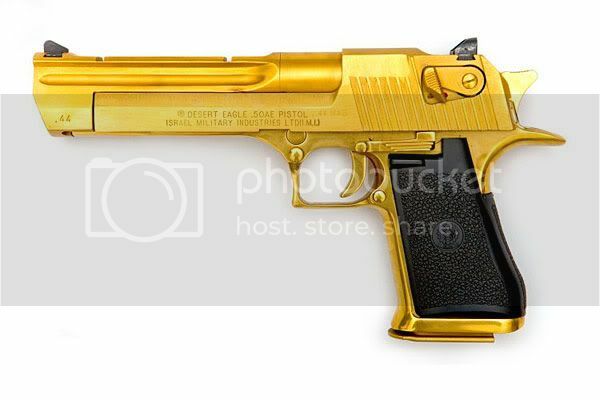 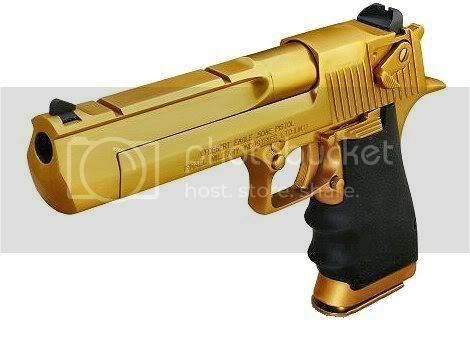 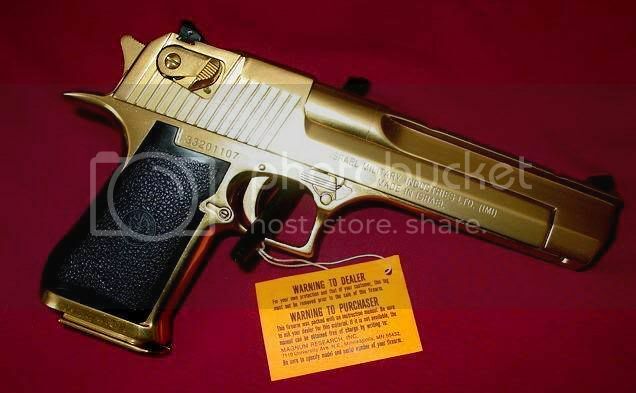 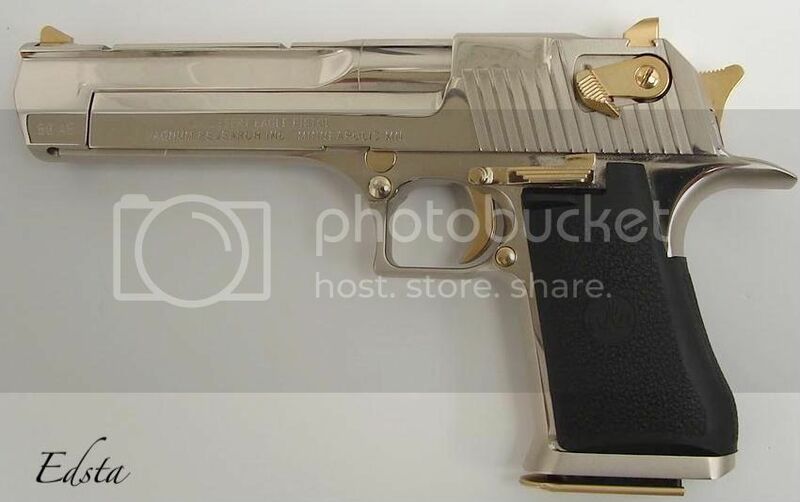 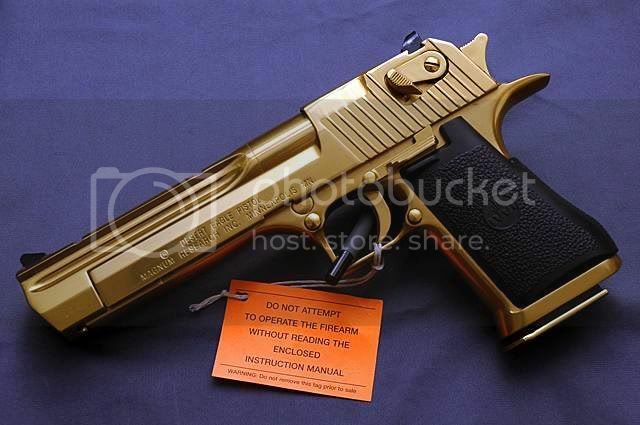 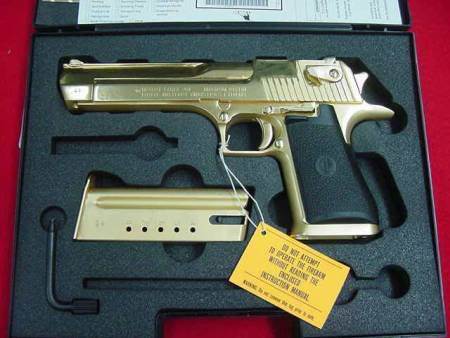 This is realy an amazing gun in gold. 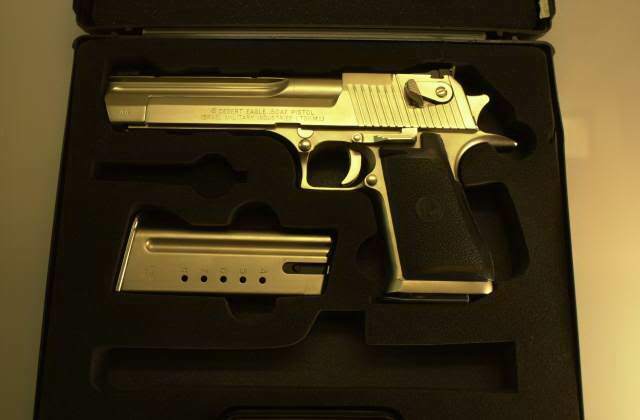 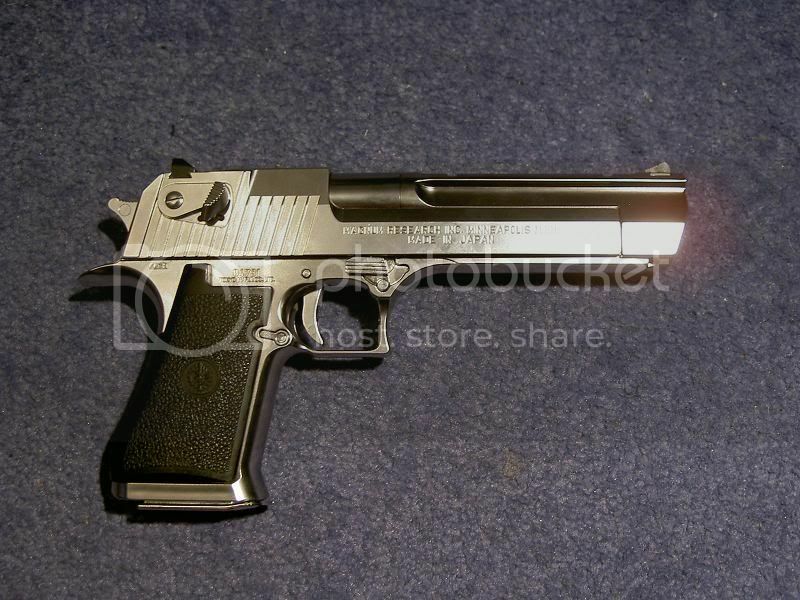 The Desert Eagle was originally designed by Bernard C. White of Magnum Research, who filed a US patent application for a mechanism for a gas-actuated pistol in January 1983. Maximum effective range is 200 m. Barrel length could be 6 in (152.4 mm) or 10 in (254.0 mm). 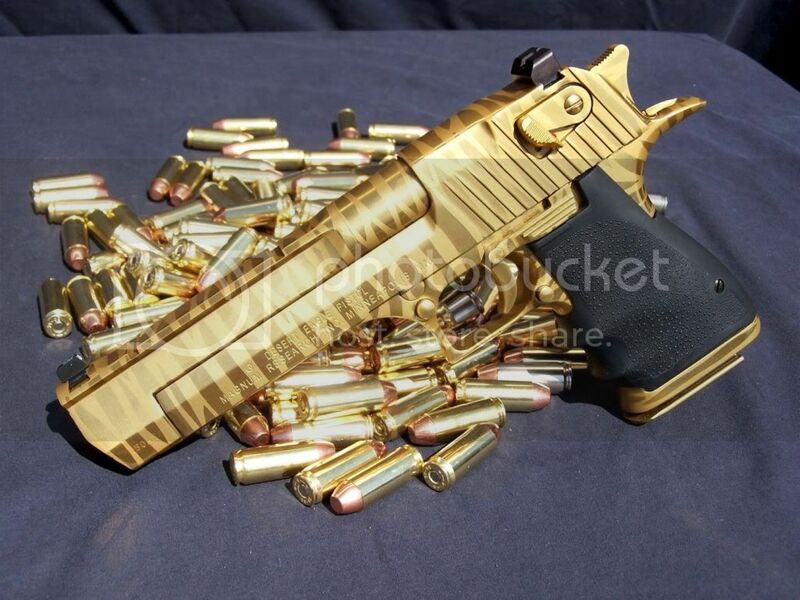 Feed system capacities are different : 9 rounds (.357), 8 rounds (.41 and .44), 7 rounds (.440 Cor-bon and .50AE). 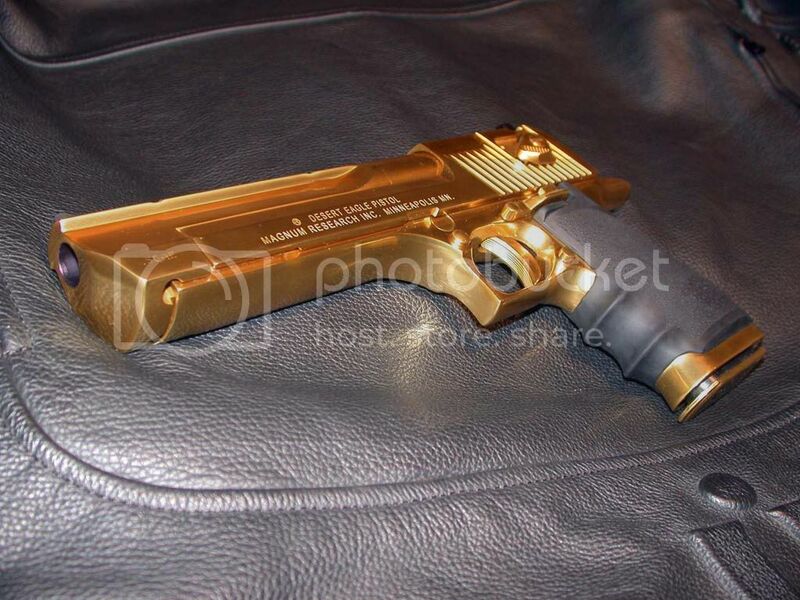 Three variants of this weapon have been produced: Mark I, Mark VII, Mark XIX.